Get a free trial to NFCSS for online access to every NFPA® code and handbook! Try NFCSS (for free) before you subscribe, and discover how easy it is to access the codes and standards you need when you need them. 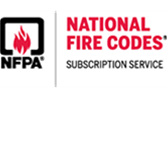 An NFCSS subscription gives you instant online access to 300+ NFPA codes and standards. Plus, a subscription includes online access to NFPA handbooks, which are packed with expert commentary and graphics to help clarify code concepts. Every handbook is written by authorities in fire, life, building, and electrical safety so you know it is information you can trust! NFCSS is the most comprehensive resource available to fire, electrical, life and building safety professionals. If you apply or implement NFPA codes or standards, NFCSS is one of your most valuable on-the-job tools. *The bookmarking feature is not included in the 3-day free trial. Access to codes online requires an active subscription. One trial per customer.